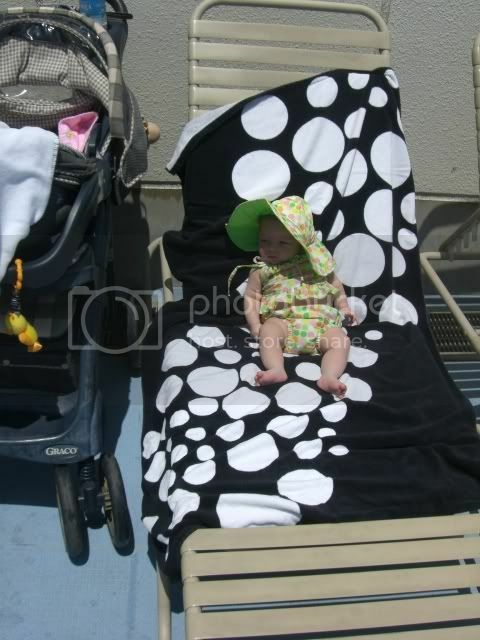 We went to the base pool today. The water was way too cold for Joey to get in with me, but I still splashed her a little bit. It was a beautiful day and I got a really scary sunburn. 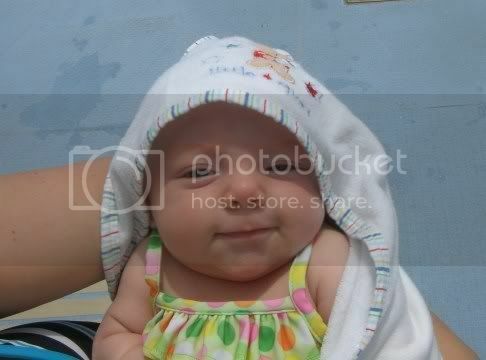 She looked so cute in her bathing suit from Aunt Jodi. I just wanted to share a couple pictures. 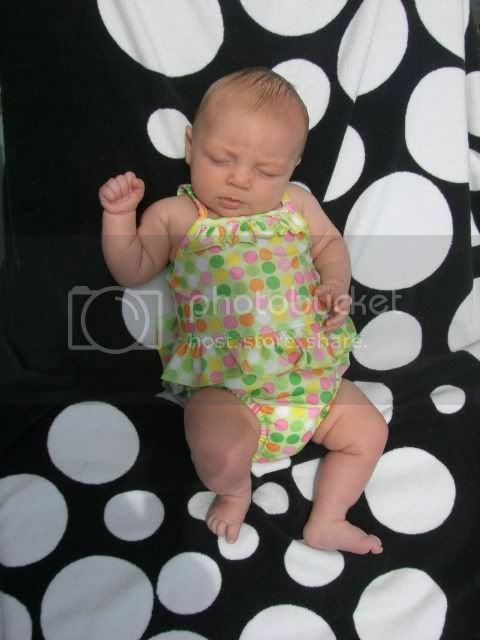 my niece is so cute! 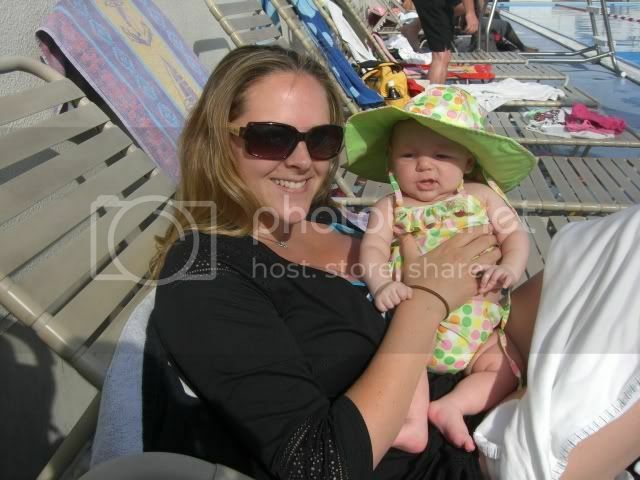 and i love the bathing suit - i think that jocelyn is the same size as our girls.....maybe even a little bigger! super duper cute!